Radiological Associates of Long Island's radiologists are challenged to get patients in and out of imaging exams quickly, 24 hours a day, but they had no way of efficiently read exams offsite after hours. They needed a flexible and scalable solution to read outpatient and inpatient images, and report via the web. 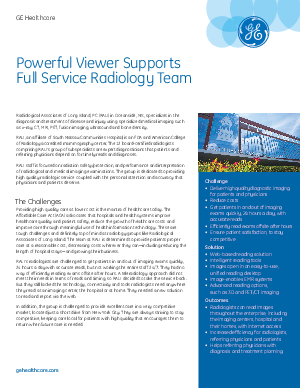 Universal Viewer gave their radiologists PACS reading tools and advanced features across the enterprise, including the imaging centers, hospital and their homes, and anywhere Internet access is available.